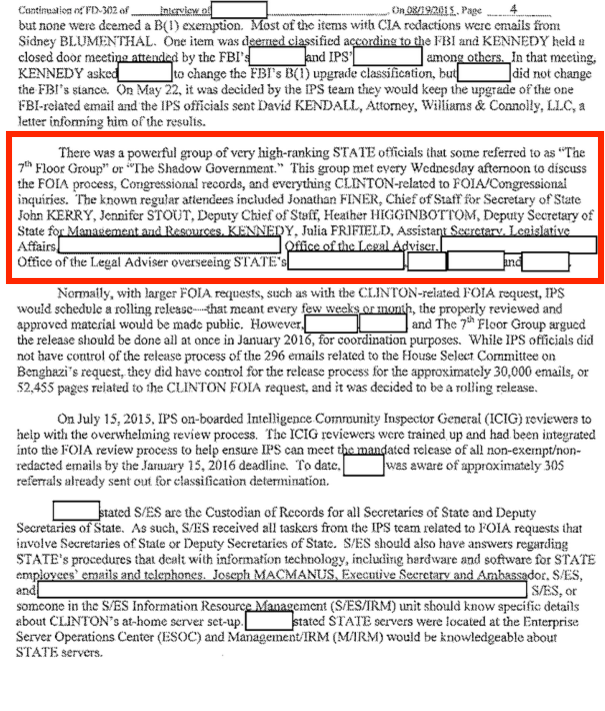 CLINTON’S FBI FILES LITERALLY MENTION “THE SHADOW GOVERNMENT” AT THE STATE DEPT. WOW. Bill Clinton once reportedly told senior White House reporter Sarah McClendon, “Sarah, there’s a government inside the government, and I don’t control it.” Average citizens who talk about things like that, however, are typically referred to as “Conspiracy Theorists” as if its a pejorative term. Then again, how much of a conspiracy is it when the FBI’s own documents confirm the existence of something referred to as “The Shadow Government”? A powerful group of high-ranking state officials referred to as “The Shadow Government”. Really? 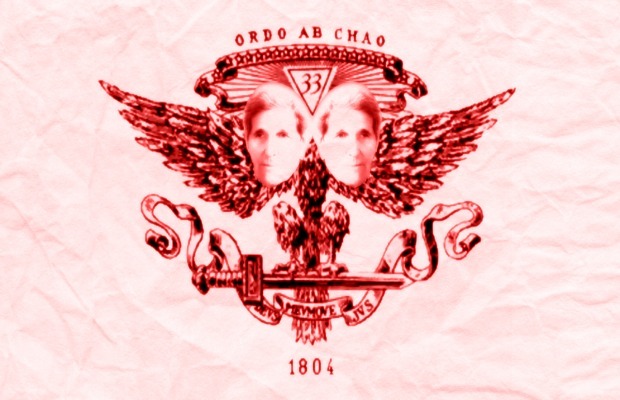 So Skull and Bones John Kerry is sitting over there in a group literally nicknamed “The Shadow Government” which decides what information will be released to the public and what will be censored in regard to fellow high-ranking elitist Hillary Clinton? It’s almost a laughable cliché… except there it is in black and white. And still there are people in this country who claim there’s no such thing as a cover up and it’s all a conspiracy. Please. Give us a break. Delivered by The Daily Sheeple: CLINTON’S FBI FILES LITERALLY MENTION “THE SHADOW GOVERNMENT” AT THE STATE DEPT. WOW. Melissa Dykes is a writer, researcher, and analyst for The Daily Sheepleand a co-creator of Truthstream Media with Aaron Dykes, a site that offers teleprompter-free, unscripted analysis of The Matrix we find ourselves living in. Melissa and Aaron also recently launched Revolution of the Method and Informed Dissent. Wake the flock up!